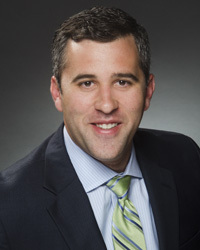 Matthew Faga concentrates his practice in the areas of restructuring, bankruptcy and insolvency law, with a focus on counseling secured and unsecured creditors, corporate debtors and debtors-in-possession, purchasers, and fiduciaries in bankruptcy cases and related adversary proceedings, as well as non-bankruptcy receiverships, workouts and restructurings in Colorado and Wyoming. Mr. Faga is certified in Business Bankruptcy Law by the American Board of Certification. Mr. Faga has a wide range of experience representing various parties in Chapter 11 cases simple liquidations to complex reorganizations. Mr. Faga was a law clerk for the chief judge of the U.S. Bankruptcy Court for the District of Colorado, and an experienced speaker and presenter on many restructuring and insolvency issues. Matthew has remained actively engaged in the bankruptcy community for well over a decade in various roles. He currently serves as a co-chair for the Bankruptcy Subsection of the Colorado Bar Association and officer of the Business Law Section Committee, and an adjunct professor at the University of Denver Sturm College of Law. Mr. Faga was honored as a member of the 2017 inaugural class of the American Bankruptcy Institute’s 40 Under 40 Award. Represented secured lenders and protected creditor interested in many commercial chapter 11 bankruptcy cases and adversary pleadings. Represented various Colorado entities (for profit and non-profit) in successful wind downs and dissolutions. Represented entity receiver in fraud action resulting in recovery of $2.5 Million for distributions under a state court approved plan of distribution. Represented asset and entity receiver and custodian for two entities in connection with transition from state court receivership to chapter 11 bankruptcy cases. Represented asset receiver in ponzi scheme asset recovery action, and defended victims of ponzi scheme in claw back action. Niner, Inc. – represented Chapter 11 debtor in successful $3.5 Million sale of substantially all assets to purchaser. Brundage-Bone Concrete Pumping, Inc. – represented Chapter 11 debtor, the country’s largest concrete pumping company. Successfully obtained confirmation of plan of reorganization that restructured $240,000,000 of debt and allowed the company to emerge from bankruptcy and exceed its plan projections. Colorado Sports Group, LLC – represented Chapter 11 debtor engaged in the operation of an indoor ice rink in Monument, Colorado. The confirmed plan of reorganization restructured over $2,000,000 of secured and tax debt. Let’s Go Aero, Inc. – represented Chapter 11 debtor in proceedings, defended intellectual property license agreement dispute and resolved dispute through mediation. Represented Chapter 7 bankruptcy trustees in a wide variety of bankruptcy matters, including nondischargeability proceedings, fraudulent transfer and preference actions, and objections to claims, and objections to claimed exemptions. Published Case Comment: Matthew Faga, Non-Obviousness: The Fulcrum of Combination Patent Validity, 85 Denv. U. L. Rev. 485 (2007).